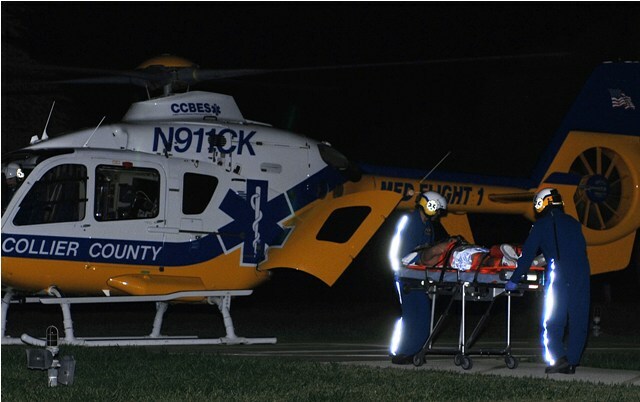 The stabbing victim was airlifted to Lee Memorial Hospital for treatment. 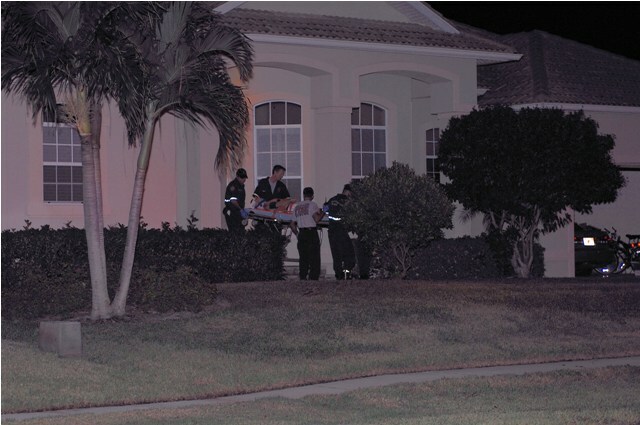 The stabbing victim is brought out of a Marco house by emergency personnel. MIFD place victim in ambulance. under arrest for Aggravated Battery and transported to the Collier County Jail. 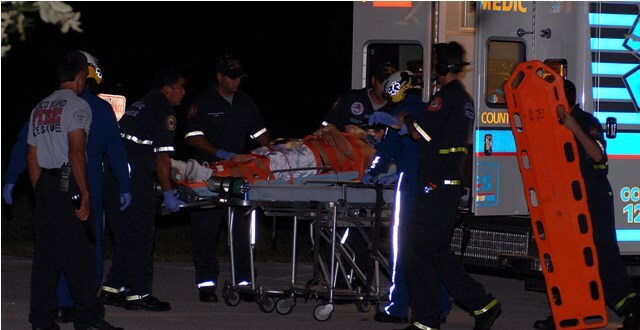 Levesque was air lifted to Lee Memorial Hospital. Neither the suspect nor the victim resides at the location where the incident occurred. The weapon used in the battery, an 8” inch kitchen knife, was recovered at the scene. Report received from Marco Island Police Department. Photos by Jim Sousa.